Located on a stunning campus in Culver, Indiana, Culver Academies is a college preparatory boarding school with a rich campus culture and engaged alumni network. 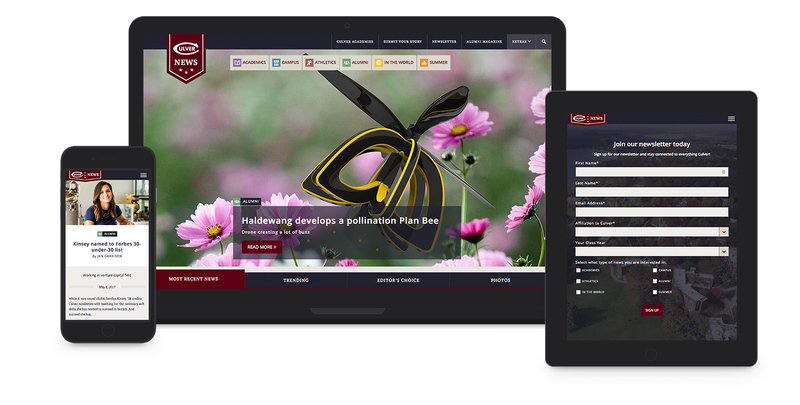 Though they serve high school students, Culver holds itself to the standard of higher ed institutions and wanted a digital presence that could do the same. 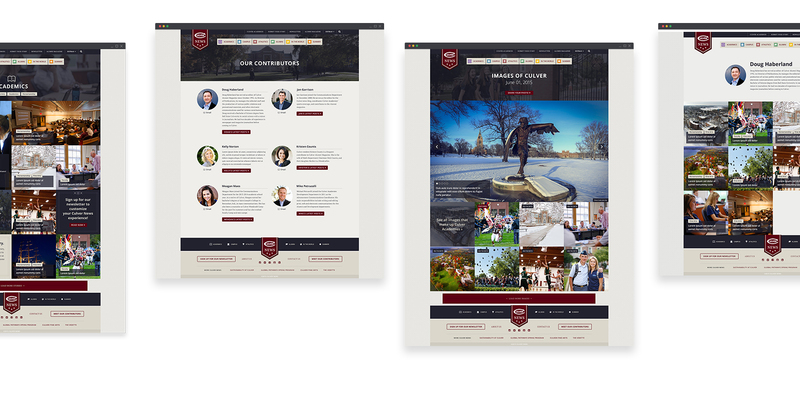 As the home for all staff, faculty, student and alumni news, the Culver blog was a critical part of maintaining the tight-knit community that the school prides itself on. Yet the blog’s outdated design, layout and limited functionality were nothing to write home about. Referred to us by our long-time clients at Boise State University, Culver Academies tapped Westwerk to create a blog worthy of the stories it housed. As a college preparatory school composed of three unique entities, Culver Military Academy for boys, Culver Girls Academy, and the Culver Summer Schools and Camps, Culver Academies has many different audiences to speak to. Current students, prospective students, parents, alumni, donors and the surrounding community all looked to the Culver blog to stay up to date with the topics that interest them most. While the content of the stories was solid, the design of the blog on the frontend made it difficult for readers to find what they wanted. Additionally, the blog’s visual identity was not up to par with the high-caliber institution Culver prides itself on being. To get a better feel for Culver’s culture, we flew out to Indiana to meet with the team. During a student-led campus tour, it became immediately apparent how much pride the kids had in their school and the quality of the education they were receiving. We were also struck by how gorgeous the campus was but surprised by how little it was being leveraged in the existing blog design, so we decided to change that. We made the design of the blog much more visually-driven, utilizing large, beautiful photography throughout and incorporating images of campus life curated from student Instagram feeds into the homepage. We also designed a new “logo” for the blog and created an iconography set to reduce visual clutter. To make the different content types more apparent and easier to navigate, we created a modular layout that allows users to filter stories based on several categories (athletics, alumni, campus, etc.) with multiple sub-categories contained within each of those. On the blog’s homepage, we also created separate categories for most recent news, trending news, editor’s choice stories and photos, to encourage users to discover and engage with more diverse content. On the backend, we integrated multilingual functionality so Culver’s global audience can easily access the same content as everyone else, and created a user portal where visitors can submit their own stories for possible inclusion on the blog. Additionally, we created a form where users can sign up for the enewsletter and select the specific topics that appeal to them most, allowing the Culver team to curate unique content for each audience. Pushing the limits of WordPress, the new blog is like a mini-site all on its own. The new design elevates the blog well past the standards of higher ed institutions and more effectively spotlights the rich campus culture. The result is a new site the students and alumni can feel proud showing off to their family and friends, parents have a resource to feel more engaged with the school community, and donors have a shining example of everything their money supports.